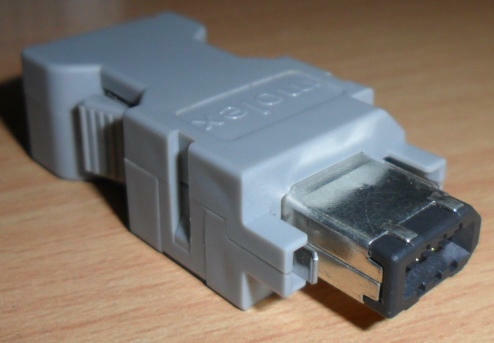 We are supplying Encoder USB Connector for more than one decade.These connectors are also suitable for all type of servo products manufacture including Mitsubishi, Yaskawa, Panasonic, Fuji and so on. We are supplying best quality Encoder USB connectors in the market. We also supply large quantity based on the customer needs. For Customer satisfaction we directly contact our customer to clarify their doubts regarding quality and technical details of the USB Connectors. For any further deal and queries feel free to contact us. We “Star Automations“established in the year 2000. We are renowned organization engaged in supplying, distributing, and trading & repair service of industrial automation's products. Our products range includes Ac servo motor, Servo drive, Ac drives, Inverters, PLC, HMI, Ac geared motor, BLDC, Sensor, Soft starter, SMPS, Encoder etc. We have highly skilled, trained & Technical personnel to meet our client’s service requirements. We are the authorized service provider for L & T Yaskawa products. We offered our service support all over the world. We are capable of Troubleshooting AC & DC servo motor, Servo drive, PLC, SCADA, VFD, PCBs to the component level with Automatic Computerized IC Tester. In order to attain maximum Customer satisfaction, we offer all our products at competitive price. Our authorized supporting brands for sales are Panasonic, Yaskawa, Fuji, Delta, Mitsubishi & also support to Baldor, Sanyo Denki, Schneider, Hitachi, Siemens etc. Before sales, our professionally trained personnel will help to find out the exact model depending upon customer need, we also give solution for the products selections based on their application. We can also support to OEM. We offer effective after sales service to our clients, we also provide engineer insulation support. We have 24 hour turnaround service; we are easily accessible to our clients by mail (or) phone at any time.